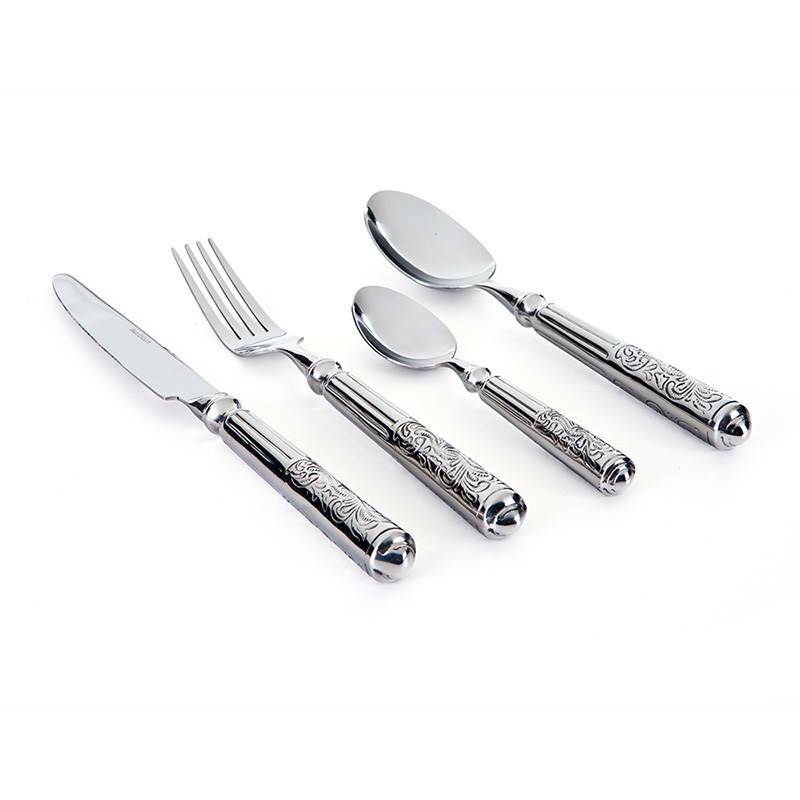 This stainless steel cutlery set is composed of 4-piece flatware including a knife, a fork, a tablespoon and a dessert spoon. 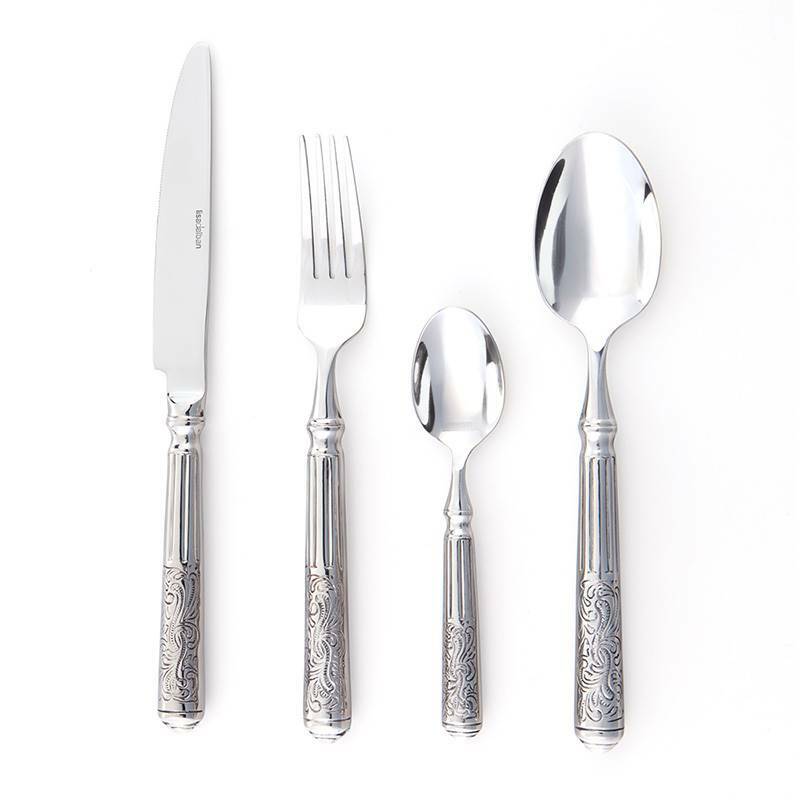 This flatware is ornate with one-piece forged steel handle meticulously crafted. Sculpted with baroque lines, this original flatware reinvents a classic graphics with modernity. Leader in French cutlery, Tarrerias-Bonjean Groupe makes its point to offer high quality products. French cutler for several generations, TB creates professional knives, flatware and kitchen utensils adapted to users’ tastes and needs. 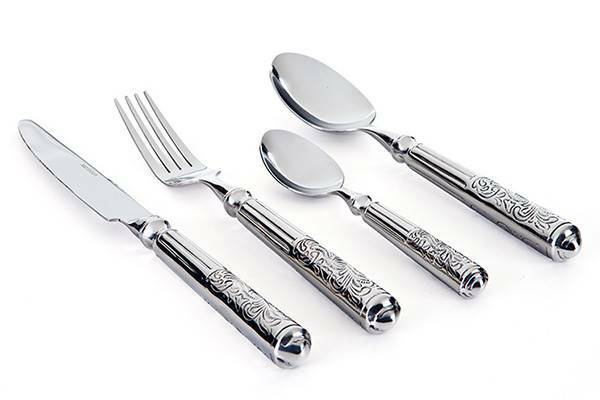 With this baroque cutlery set, TB Groupe proves a unique know-how merging aesthetics and quality.